ACCESSORIES > Desk Accessories > What is it? Okay, what do you think this strange, round-yet-flat thing is? Use your noggin, and you may just recognize something familiar within the squiggly shape. Answer below. Hint: they’re made of paper. 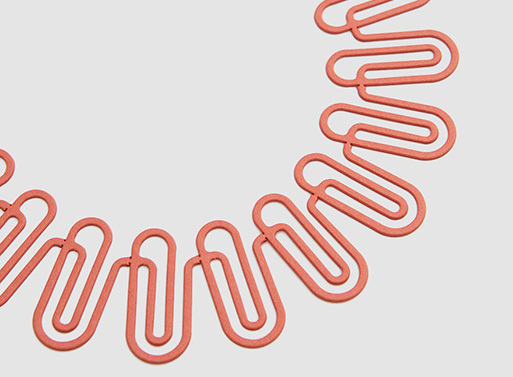 They’re paper clips! 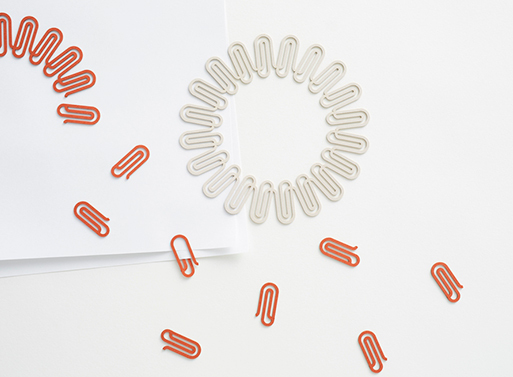 Nendo Paper Clips, of course. They’re made of high frictional paper, so you can recycle them along with your stacks of paper, if you so wish. Detach them one by one to use for a strong grip. Fun, right? Available from Need Supply, $15.00.